The growth hormone (GH) is a protein hormone released from the anterior pituitary gland under the control of the hypothalamus. In children, GH has growth-promoting effects on the body. It stimulates the secretion of somatomedins from the liver, which are a family of insulin-like growth factor (IGF) hormones. These, along with GH and thyroid hormone, stimulate linear skeletal growth in children. In adults, GH stimulates protein synthesis in muscle and the release of fatty acids from adipose tissue (anabolic effects). It inhibits uptake of glucose by muscle while stimulating uptake of amino acids. The amino acids are used in the synthesis of proteins, and the muscle shifts to using fatty acids as a source of energy. GH secretion occurs in a pulsatile (short, concentrated secretion) and sporadic manner. Thus, a single test of the GH level is usually not performed. Why the test is performed: This test is typically performed on infants and children to identify human growth hormone (hGH) deficiency as a cause of growth retardation. It can be useful in detecting some types of pituitary tumors. Because of the sporadic release of GH, the patient will have his blood drawn a total of five times over a few hours. 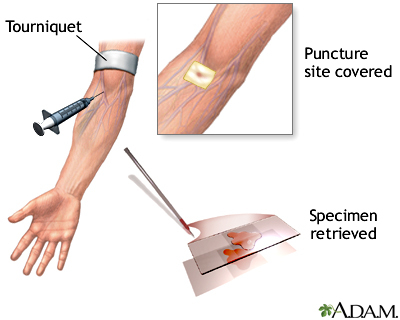 Instead of the traditional method of blood drawing (veinipuncture), the blood is taken through an IV (angiocatheter). You should fast and limit physical activity for 10 to 12 hours before the test. If you are taking certain medications, your health-care provider may ask that you withhold these before the test, as some can affect results. You will be asked to relax for at least 90 minutes before the test, as exercise or increased activity can alter hGH levels. If your child is to have this test performed it may be helpful to explain how the test will feel, and even practice or demonstrate on a doll. This test requires temporary placement of an angiocatheter, an IV, and this should be explained to your child. The more familiar your child is with what will happen to him, and the purpose for the procedure, the less anxiety he will feel. Clinical signs and symptoms of hypoglycemia if IV insulin is administered. 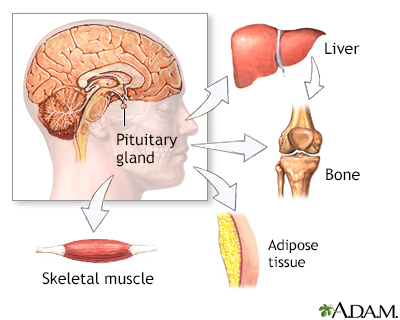 A diminished amount of hGH indicates a problem either in the hypothalamus or the pituitary. Additional testing can illustrate the exact site of the deficiency. 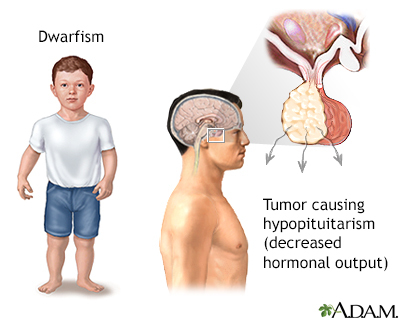 In children, a deficiency of GH results in dwarfism. 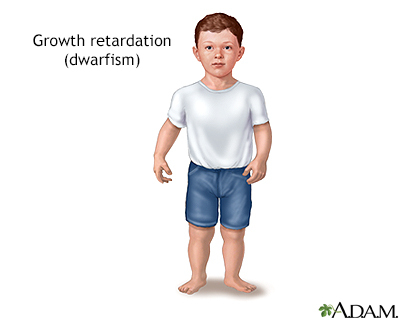 In adults, it may be associated with panhypopituitarism. About 10% to 15% of people with normal functioning pituitaries may fail to respond on the first test. The test is often repeated.